Early Morning along shore of Lake Atitlan in Panajachel. 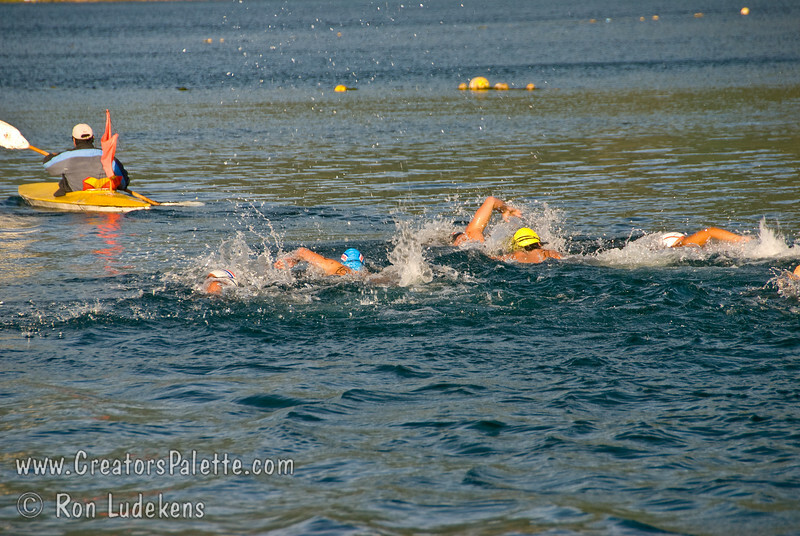 I heard American music on loud speakers and found this cold water distance swimming race. As a former swimmer, I stayed to watch. Swimmers were coated in grease or oil and then swam around 2 orange bouys set way out in the lake. As unclean as we found the water, this did not seem like something I would want to do.